Manatees! They’re large, they’re adorable! 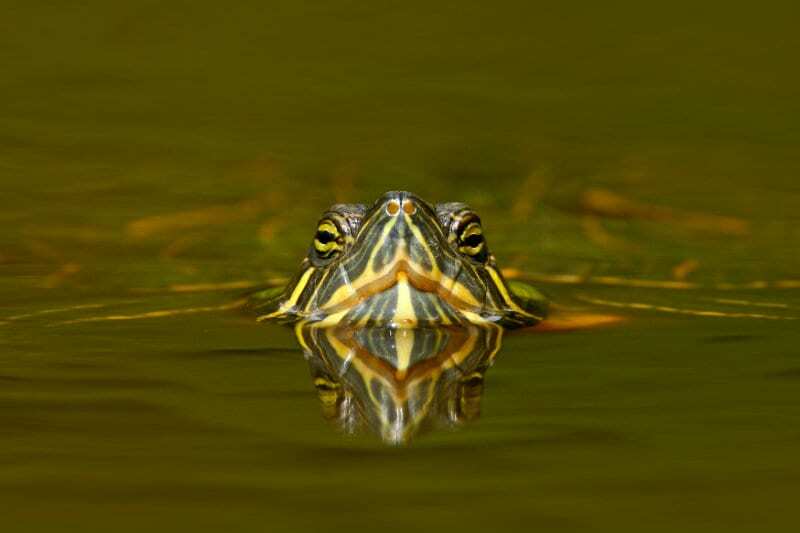 These gentle giants occupy the brackish waters of sunny areas in the southern US and Central America. 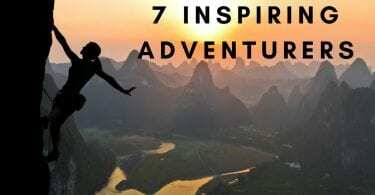 If you've ever harboured a desire to see or swim with manatees and you’re planning an outdoor vacation to anywhere mentioned in this article, then read on! And be sure to set aside time for a once-in-a-lifetime chance to visit these rare creatures in the wild. Alligator Hole is located on the south coast, not far from Treasure Beach. According to Emily Kydd (from SeeHerTravel.com) the south coast “isn't the flashiest area of Jamaica, but it's a stretch of the island where anyone can easily come to feel at home". It is also THE place to view manatees in Jamaica (not to mention other wildlife). Alligator Hole is actually a small river and is home to hundreds of incredible species, including some resident manatees that have been cut off from the sea. The 3 manatees regularly swim upriver each day at 5pm to be fed by local conservationists. And although that’s not a lot of manatees, you are almost guaranteed to see them if you go at their scheduled feeding time because they are so adapted to the routine. You can visit Alligator Hole free of charge if you choose to venture out on your own, as the manatees are viewable not far from the interpretive center. Trek up to the top of the man-made dam, or head out on your own in a canoe. Either way, this is a great way to view manatees without having to spend a dime. There’s plenty of other wildlife viewing to do there at the same time. The river runs underground for some of its course and provides excellent habitat for various salt and freshwater species because of its high salinity. You can visit Canoe Valley National Nature Preserve (the park which contains Alligator Hole) to visit its manatee habitats or check out the interpretive center. 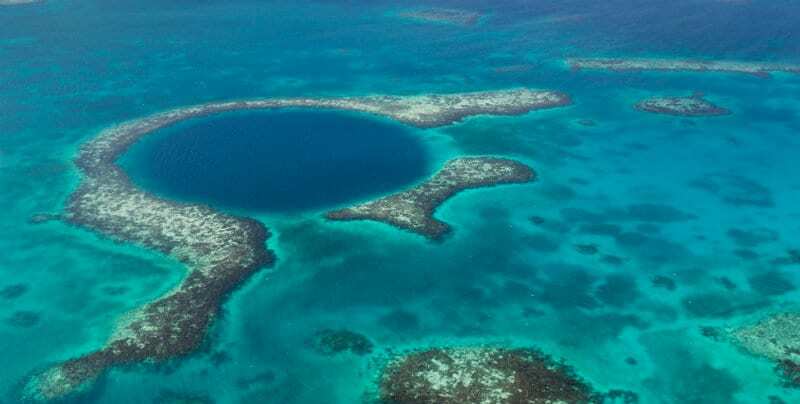 Belize boasts the second largest barrier reef in the world. The warm, shallow water is peppered with islands (Cayes) making it a perfect destination for virtually any water-related activities you can think of. And all of this adds up to the snorkelling being absolutely world class. While most snorkelling and diving trips offer a fantastic opportunity to see a manatee quietly grazing (Belize has one of the largest concentrations of manatees in the world), one of the best excursions can be found just outside of Belize City, in Swallow Caye, which is a wildlife sanctuary. Although you can visit the caye on your own, it occupies a large area, and it is recommended you sign up for a professional tour so you have better odds of finding manatees. Belize has one of the largest concentrations of manatees in the world, in part because it hosts the largest barrier reef in the Western hemisphere and also because it has three areas dedicated to protecting manatees. Searious Adventures offers reasonable, professional tours that include refreshments such as water, juice, soda, and even alcohol to make your voyage as comfortable as possible. 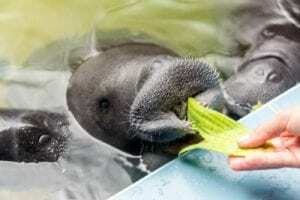 Their manatee watching packages start at less than $90 a person, and many can be bundled to include snorkeling, barbeques, cave tubing, trips to the zoo, and other adventures as part of that low fee. Anwar Tours offers another great excursion. This company also provides various activities besides viewing manatees, such as visiting Shark Ray Alley and snorkeling at Caye Chapel. This full-day tour starts at just $85 per person and includes bottled water and fruit. Crystal River’s Three Sisters Springs is the largest winter refuge for manatees on the Gulf Coast. It's a common spot to view manatees, as the area is specially protected as a designated sanctuary. The waters of this spring are clear and blue, allowing you to see easily below the surface. There are strict rules on how you can interact with the manatees, including swimming, kayaking, or canoeing, so it's recommended that you book with a tour to ensure you will see the manatees and avoid endangering their natural habitat. "One of the most amazing animal experiences we've ever had was when we went swimming with manatees in Crystal River, Florida. To be able to see these incredible animals up close was so cool! We loved that we were able to learn more about them, their environment, and about the proper way to interact with them. Being able to swim with these gentle giants is something we'll never forget." River Ventures offers several manatee packages. The least expensive is a three-hour tour that starts at $64 per person. This encounter and snorkel tour leads you directly to the manatees on a covered pontoon boat before you swim and dive with the elegant creatures. The company also offers a semi-private VIP manatee tour on a pontoon, as well as one on a houseboat. You can also choose to embark on a completely private boat tour, or on a paddle tour. While some of these options are only available from November until March, many offer heated cruises as well as snacks and beverages. Another great, low-key tour company is Manatee Tour and Dive. Also embarking on snorkeling and swimming tours on the Crystal River, this tour even offers an underwater video experience so that you will never forget your magical encounters with the manatees. They also offer kayaks and canoes if you want to guide your own tour. Two-hour tours start at $55 per person. There's also plenty of campgrounds in the area if you are looking to pitch a tent on a budget. In Mexico, there are loads of places to visit manatees should you decide to leave the comfort of your beach sunshade. 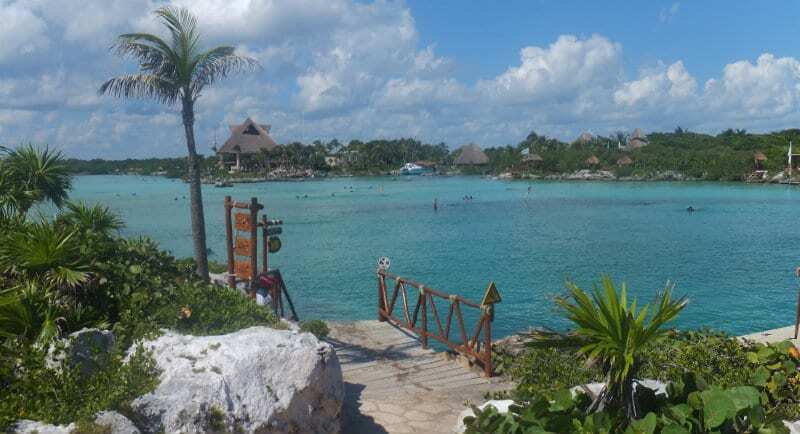 However, Xel-Há Park near Playa del Carmen offers a unique opportunity to engage with them. The park has a rescue and conservation programme dedicated to manatees and they run an educational tour that includes feeding them. It's one of the few places I'm aware of that that offers a structured opportunity to learn more about manatees and raises awareness of their vulnerable status. The manatee experience at the park costs an extra $69 on top of the entrance fee. You can feed, touch, and even hug manatees, and photo and video services are available. The tours are offered four times a day and booking in advance is recommended. 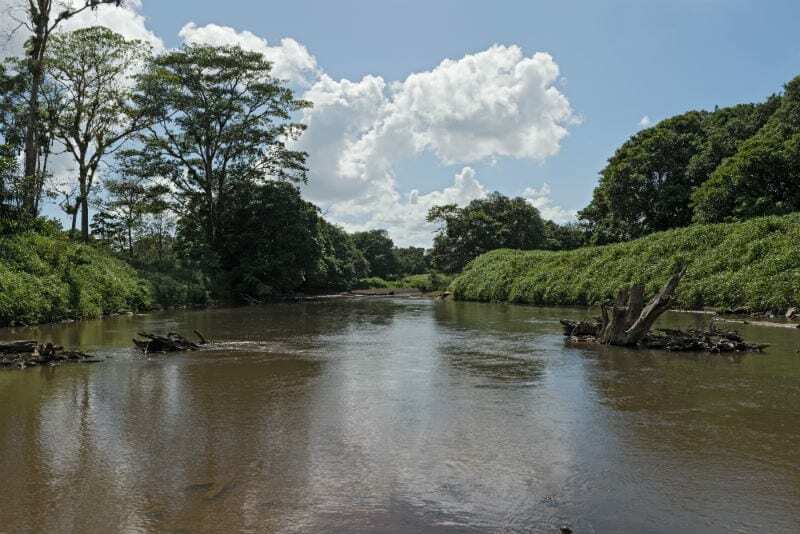 "Visiting Tortuguero National Park in Costa Rica is like entering a watery world, where you swap roads for canals and travel by boat deep into the jungle. From cougars to manatees to the turtles which give it its name, this is a place for wildlife, and a boat safari through the park is a unique experience not to be missed." While swimming and up-close encounter tours are less common in this national preserve, there are several boat tours you can choose from to help gain you close access to manatees. The Canoe Tour at Tortuguero National Park, provided by Tortuguero Adventures, offers canoe and kayak tours throughout the entire park. 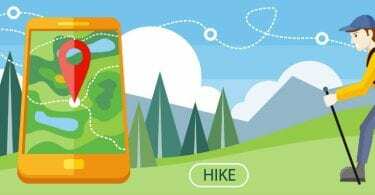 These meander through the water paths of the region along with a fascinating running commentary of the national parks and history of the area. You aren’t allowed to get in the water with manatees for this trip, but it only costs around $45 per person. Another tour of Tortuguero, offered through the Viator Travel Company, is a full-day tour of the national park. It departs directly from San Jose. Visitors board a boat and experience the intense biodiversity of the area--including manatee encounters--along with an exploration of the area’s beaches and canals. This tour includes meals, and also allows you to encounter other species such as howler monkeys and turtles. It starts at $112 per person. You can pitch your 3 person tent at Cuatro Esquinas Headquarters which is at the north end of the park in the town of Tortuguero. You can get more information on the park here. These wrinkled, slow-moving creatures can weigh up to 3,500 pounds, a testament to their nicknames of “sea cows.” These mammals are usually seen grazing in swampy marshes or aquatic meadows. They are most commonly viewed in the winter months, between November and March. While manatees migrate as far north as the coast of Georgia, they will rarely move further. They require warm temperatures and cannot survive below sixty degrees Fahrenheit. 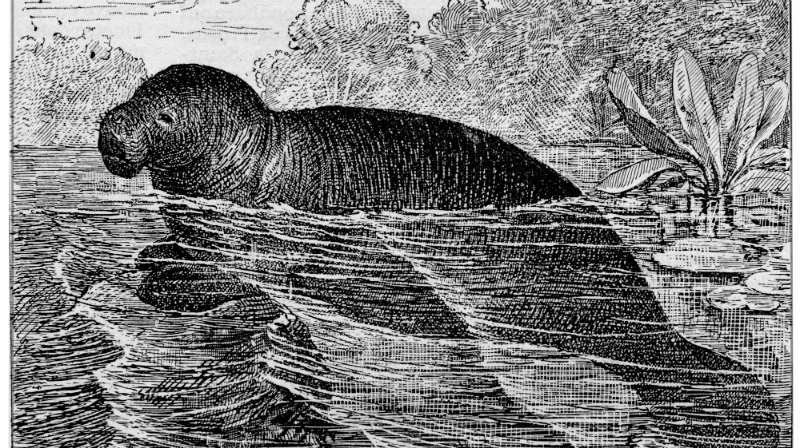 Manatees can move freely between the salinity extremes of freshwater and saltwater environments, making them an interesting “hybrid” species that has captivated the public’s affections. Yes! They are really slow, gentle creatures. They swim at only three or four miles an hour. In short bursts, they can swim at up to twenty miles an hour, but this is uncommon. They spend about half of the day sleeping and the rest grazing. These amazing creatures can live up to sixty years. They are highly intelligent, capable of understanding discrimination tasks and associated items with one another. They have good long-term memory and have often been compared to dolphins concerning their capacity to learn tasks and develop mentally. Manatees are herbivores, feeding on over sixty different species of freshwater and saltwater plants. Common foods include sea clover, marine algae, seagrasses, pickerelweed, water celery, and mangrove leaves. They eat up to fifteen percent of their body weight every single day, requiring them to graze for six or seven hours a day. Manatees, like land ungulates such as horses, and rhinoceroses, must use hindgut fermentation to help the digestion procession because they eat so much cellulose material. 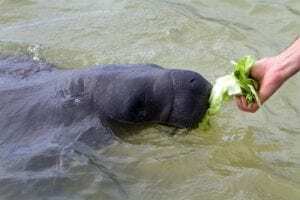 To eat, manatees employ a unique behavior. They use their flippers to move along the ground as they dig for plants in the substrate. They then use those flippers to scoop the vegetation towards their mouths. They do not have front teeth but instead ridged pads. Populations of manatees are incredibly low. Manatees have no natural predators, besides crocodiles, which is rare. But they are threatened by low temperatures and several different diseases. And the biggest threat to manatee populations is human activity (they are often killed by ship accidents, as well as red tide and the accidental ingestion of fishing materials). As a result, manatees are classified as endangered by many (although the United States have recently downgraded their status to ‘threatened’). While increased protections that started in the 1970s that outlawed hunting, certain ship traffic, and other behaviors--they are still highly threatened. As of 2016, there were about 6,000 West Indian manatees in Florida and about 13,000 worldwide. Go and see them! They’re awesome! It’s hard to imagine a life without manatees. Therefore, it’s essential that you consider an eco-friendly manatee tour to help bring awareness to the necessity of these gentle creatures. Whenever possible, book a visit with a humane organization that recognizes the importance of respecting the animal’s safety, and always step up to the plate by supporting manatee research, protection, and public education efforts. Manatees are so amazing. You’ve put together a great list of places to see them!